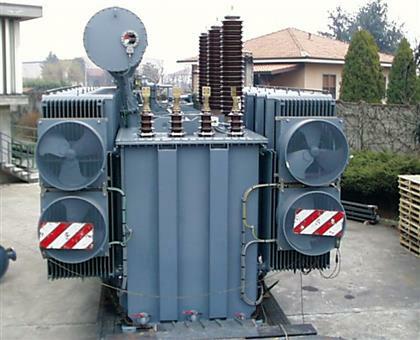 Distribution transformers MV/LV type for energy distributions are usually three or single phase, oil immersed, with different cooling method (K/L) ONAN - (K/L) ONAF with detachable radiators or corrugated tank (depending on transformer size and ambient temperature), with conservator technology or sealed construction (with or without nitrogen/air filling). These transformers can be manufactured either with off-circuit tap changer or on-load tap changer, for environments with risk of explosion (ATEX) or for off-shore application. Furthermore transformers for railway application with various loading cycles can be manufactured.